Miles of beaches, big-name cities, world-class theme parks, holidays to Spain give you a to-do list as long as a tapas menu. Flamenco dancers in polka dots, Moorish castles standing proud, matadors with sweat on their brows - Spain conjures up millions of different images. The country has been a favourite with British holidaymakers for years, thanks to its fantastic beaches, lovely climate and the fact it’s just a short hop from home soil. In the past, Spain has not had a great reputation for good disabled access facilities for accommodation, beach access and for access to tourist attractions, however things are certainly improving. There are noticeable improvements mostly in some of Spain's older resorts such as Torremolinos, Fuengirola and Benidorm and in popular Spanish cities such as Barcelona. Some of the more relaxing and quieter Spanish resorts are also putting more emphasis on easy access onto beaches, and benefit from flat level beach promenades. Torremolinos and Benidorm provide excellent public transport, and many local buses now are catering well for disabled travellers. This page offers a brief on all the resorts/towns that Disabled Access Holidays have to offer for accessible holidays in Spain, from the quiet and culture of the North, to the sun, sea and sand of the Costas. It's an extensive list however the time spent selecting the resort that suits you best is time well spent. Have a browse to select the best disabled holiday abroad for you. All flights are 2.5-3 hours away and most flights are available from local airports, depending on the time of year. The larger towns and cities of Spain are good to visit all year. August is the hottest month and may be too hot for some! Summer can be quite hot, especially in inland cities like Madrid. The winter is pleasant and definately warmer that the UK. Many of the resorts in the Costas close down for the winter, but many of the larger resorts stay open all year. So if this has got you in the mood for a bit of sunshine, feel free to call us on 0800 622 6000 to speak to one of our experienced travel consultants about the best time for a wheelchair accessible holiday in Lanzarote. Barcelona has everything to please the majority of visitors - a history among the oldest in Europe, a capital which never sleeps and an inland full of charm, not to forget beautiful beaches in La Costa Brava. The artistic treasures, the Romanesque churches and the great names in modern art and architecture , Dali, Gaudi, Miro, Picasso. Barcelona has found a formidable balance: a foot in the traditional things and the other in the avant-garde. And it has a beach too! A perfect destination for a wheelchair accessible city break. Call 0800 622 6000 todays to speak to one of our experienced travel consultants about a disabled friendly holiday in City of Barcelona. Madrid, Spain's central capital, is a city of elegant boulevards and expansive, manicured parks such as the Buen Retiro. It’s renowned for its rich repositories of European art, including the Prado Museum’s works by Goya, Velázquez and other Spanish masters. The heart of Madrid is the portico-lined Plaza Mayor, and nearby is the baroque Royal Palace and Armory, displaying historic weaponry. In the past, Madrid has not been at the forefront of improved mobility for disabled people but efforts are being made so that travellers with mobility difficulties can all get the most the city has to offer. Now, you can also enjoy increased variety of wheelchair accessible accommodations to choose from on your disabled holiday in Madrid. 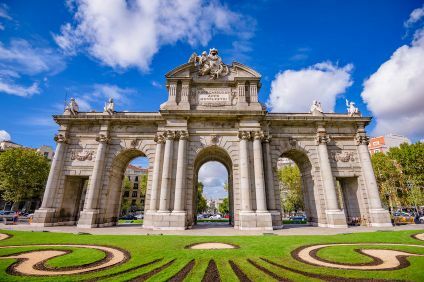 Call 0800 622 6000 todays to speak to one of our experienced travel consultants about a disabled friendly holiday in Madrid. Call 0800 622 6000 todays to speak to one of our experienced travel consultants about a disabled friendly holiday in Getafe. Roquetas de Mar in the Costa Almeria, has always been popular with Spanish holidaymakers - and now Brits are discovering it, too. The fishing town comes with huge beaches, a palm-fringed promenade lined with restaurants plus fantastic tapas bars. You’ve also got a lovely old town here, with narrow Moorish streets and rustic houses. A promenade with restaurants and cafés stretches for around 13 kilometres, linking Roquetas’ long string of beaches. Gastronomy in Roquetas de Mar revolves around the fruits of the sea with rice and lobster topping the list of local specialities. Also sample seafood and pasta stews, typical Andalusian style fried fish and a variety of other plates based on fish and shellfish. It’s only about half an hour’s drive to Almeria, the capital of Almeria province. Overlooking the city is the Moorish fort of Alcazaba, which has towers, ruins and dungeons to explore. Another must-see is the cathedral, with it Gothic ceiling and marble trimmings. Between sightseeing, the streets off La Rambla provide plenty of cafés. Airport Transfer time is 50 mins. Call 0800 622 6000 todays to speak to one of our experienced travel consultants about a disabled friendly holiday in Roquetas De Mar. The clue is in the name for La Manga - this narrow stretch of land is Spanish for sleeve. It hangs off Murcia’s shoreline, separating the Mediterranean Sea from the country’s biggest lagoon, the Mar Menor. And it packs a lot in to its 21-kilometre-long stretch. The whole place is fringed with beaches and restaurant-lined promenades before ending in a huge marina. There are a number of promenades along the beaches making it perfect for a disabled holidays. Call 0800 622 6000 todays to speak to one of our experienced travel consultants about a disabled friendly holiday in La Manga del Mar. Los Alcazares has a fantastic coastline with over 7 kilometres of sandy beaches which give direct access to the warm waters of the Mar Menor. Parallel to these beaches and running the entire length of town is the extremely long promenade, which is great for a stroll. The town centre is relatively spread out and has a good selection of shops whilst the Bahia Centre in the Los Narejos area is packed with international eateries which are always busy during high season. The street market is held every Tuesday morning in Los Alcazares and if you miss that one there is also one in Los Narejos on a Saturday morning. Call 0800 622 6000 todays to speak to one of our experienced travel consultants about a disabled friendly holiday in Los Alcazares. A rural retreat sharing the region with some of the country’s few remaining untouched coastal areas. The culture is very loyal to its traditional Spanish roots. In the town centre, you can expect a clutch of local restaurants serving up their ‘plato del dia’(dish of the day), and boutique shops dotted along the streets. Every Saturday, Torre-Pacheco comes alive with a bustling market, selling souvenirs, fresh fruit and vegetables. Torre-Pacheco is on the Costa Calida which, thanks to its own micro-climate, stays warmer and dryer all-year-round than its northerly neighbours. It’s home to Mar Menor, a huge saltwater lagoon that’s separated from the Mediterranean Sea by nothing more than a thin slither of land. Call 0800 622 6000 todays to speak to one of our experienced travel consultants about a disabled friendly holiday in Torre Pacheco. It’s got a multi-cultural heritage, and over 2,500 years of history to its name. From the 16th century, it was in high demand as a naval port, with the Greeks, Romans and North Africans all leaving their footprint. Today, it’s a lively city, peppered with tapas bars and designer shops in-between the ancient ruins and monuments. Sat on a hilltop above Cartegena is the Castillo de la Concepcion, which has the best all-around views of the city and the port. Call 0800 622 6000 todays to speak to one of our experienced travel consultants about a disabled friendly holiday in Cartagena. Holidays to Benidorm centre on the huge beaches and stay-up-late nightlife. You won’t miss out on traditional Spanish flavour, though, with a cobbled old town and trips to Alicante. 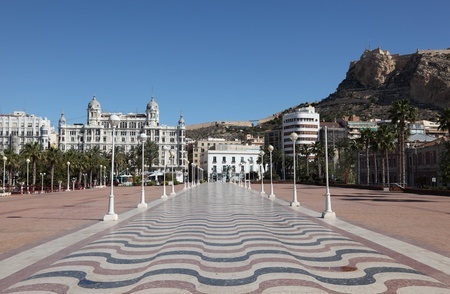 Although Benidorm stretches quite a long way along the coast, the town itself is compact, without too many steep walks. Benidorm really has been at the forefront of the holiday business for so long and continues to keep itself there with improvements for its disabled customers every year. The three disabled access points to the beach, open from 10am to 7pm, include changing rooms with extended shaded area for users, and a concrete ramp which gives easy access to the sea for wheelchair users. So many people return to Benidorm specifically because of the superb disabled facilities. At the seaside, shellfish and salt-dried fish are on the menus of every restaurant. The day's choice might include gilthead (dorada), bass baked in salt (lubina a la sal), seafood with a squeeze of lemon, or some delicious sea-fresh red mullet (salmonete) and whiting (pescadilla). After dark, Benidorm comes into its own. In the old town, tapas places fill the air with the scent of sizzling chorizo, while the Levante area plays host to comedians, tribute bands and the occasional drag queen. Call 0800 622 6000 todays to speak to one of our experienced travel consultants about a disabled friendly holiday in Benidorm. Benidorm’s quiet neighbour. You’ll find the little town of Albir just next to Benidorm. However the two resorts are poles apart. Albir does things on a much smaller scale - in fact, the town’s biggest draws are its go-slow beach life and its pretty nature walks. Albir’s proximity to Benidorm means that, when you do fancy something a little livelier, you’ve got lots of options on your doorstep. There’s Terra Mitica, one of Europe’s biggest theme parks, the Aqualandia waterpark, and Spain’s answer to SeaWorld all within a half-hour drive of Albir. Call 0800 622 6000 todays to speak to one of our experienced travel consultants about a disabled friendly holiday in Albir. Calpe sprawls out on two long strips of sand seperated by the colossal Penon d’Ifach, a huge rock which rises 332 meters out of the Mediterranean sea. It is best known for its fine sandy beaches and great value fish restaurants. There are two stunning beaches to choose from, one either side of the mighty rock. Both beaches have beautiful long promenades and a great selection of bars and cafes. 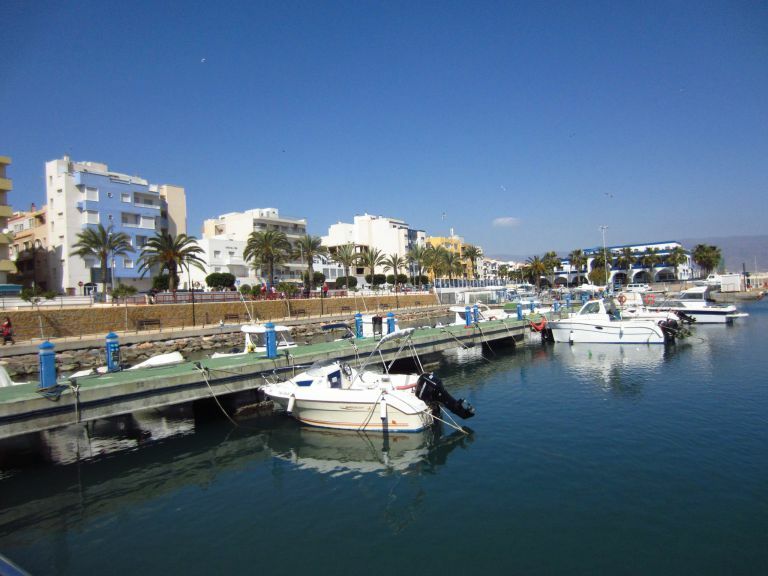 The fish restaurants are to be found mainly around the marina and the town centre has some excellent local shopping facilities, including a large street market. The town’s old quarter is still a far cry from the modern seafront. You’ll find Gothic churches and Roman ruins among the streets, plus cafés serving authentic Spanish tapas. Call 0800 622 6000 todays to speak to one of our experienced travel consultants about a disabled friendly holiday in Calpe. Torrevieja a fast expanding resort. There are marvellous coves in the northern part, as well as the saline pools which can be found beside the Juan Aparicio promenade right in the centre of the town. The promenades and the fishing port are attractions in their own right. Fantastic beaches and terraces along the promenade have numerous playgrounds and areas of interest for the little ones. The area around Torrevieja is nationally and internationally known for its salt production. In fact Torrevieja isn’t a resort in the package holiday sense, with only a few hotels. The area is much loved by the Spanish flock here during the summer months for their holidays. The local people, are friendly and welcome both national and international tourism. English is widely spoken. Call 0800 622 6000 todays to speak to one of our experienced travel consultants about a disabled friendly holiday in Torrevieja. 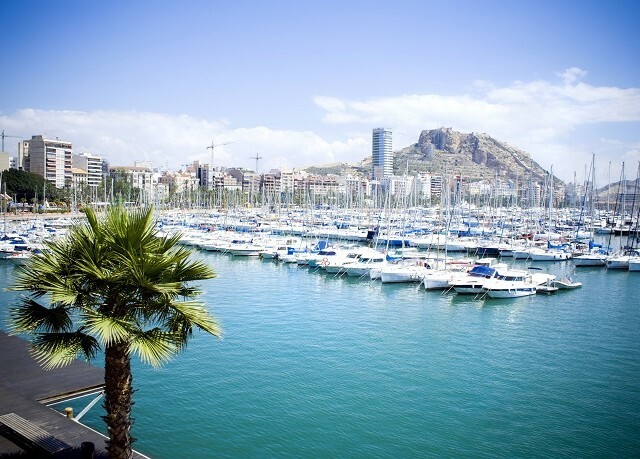 Of all Spain's mainland provincial capitals, Alicante is the most influenced by tourism, thanks to the nearby airport and resorts. Nevertheless this is a dynamic, attractive Spanish city with a castle, old quarter and long waterfront. The eating scene is exciting and the nightlife is absolutely legendary, whether you're chugging pints with the stag parties at 7pm or twirling on the dance floor with the locals seven hours later. On a weekend night it's impossibly busy and buzzy year-round. Looking for a disabled friendly city break. Alicante shed its basic beach resort skin a long time ago. Of course, the Blue Flag beaches are still an essential part of what the city has to offer. But they’re not the be all and end all. Today, the place is just as well known for its sightseeing opportunities as it is for the sea and sand. The Castell de Santa Barbara is the most-visited sight. Call 0800 622 6000 todays to speak to one of our experienced travel consultants about a disabled friendly holiday in Alicante. Holidays to Lloret de Mar put top beaches and up-tempo nightlife on your doorstep. Plus, you’re only an hour’s bus ride from Barcelona. The heart of the town is a mash-up of old and new, where neon-lit bars and fast-food outlets share the streets with Catalan and Gothic-style buildings. Take a short stroll from the bustling seafront promenade, and you’ll come across the brightly-coloured Church of Santa Roma. Up on the cliffs, the ruins of an ancient castle look down on it all. Lloret de Mar has a vast choice of restaurants which also include many British influenced pubs, nightclubs, discos, bars and a number of shops. You will also find nearby to Lloret de Mar a supersize waterpark, zoo and the Universal Studios theme park, so there really is something for everyone. The resort has a fantastic central beach with sun loungers and parasols for hire plus a wide range of holiday activities and sports including banana boats, jet skiing, windsurfing and para-sailing. The beach also has plenty of bars and cafes. There's something for everyone on holiday in Lloret de Mar, younger visitors will love Gnomeland, and the water park with its slides and rides will be enjoyed by kids of all ages. Lloret de Mar also has amusements, bowling, parks and much more. Transfer from Gerona airport to Lloret de Mar is around 45 minutes by taxi. Try Costa Brava for disabled holidays in Spain. Call 0800 622 6000 todays to speak to one of our experienced travel consultants about a disabled friendly holiday in Lloret de Mar. Santa Susanna offers a good holiday location, not far from the city of Barcelona and with all of the wonderful beaches, bays and facilities of the Costa Brava nearby. Santa Susanna is an excellent destination for those looking to explore the Costa Brava and Catalonia region. It offers good amenities, combined with a traditional charm. There is a good selection of restaurants serving both local and international cuisine, and the nightlife is enjoyable with some great bars and pubs, suitable for families and couples. The old town comprises of quaint narrow cobbled streets and historic buildings and monuments, yet head down to the seafront and you will be transported into modern living with a wealth of eateries, shops and water sports facilities. The beaches of Santa Susana are great for disabled holidays, with clean sand and calm shallow waters for easier access. For a change of pace head up to Lloret de Mar for the fun water parks the kids will love and for the livelier nightlife with a multitude of buzzing bars and ightclubs. A great destination for holidays for disabled. Call 0800 622 6000 todays to speak to one of our experienced travel consultants about a disabled friendly holiday in Santa Susanna. The main beach in the town is an accessible beach and has excellent facilities such as wooden walkways, showers(including disabled showers), sun beds, kiosks, restaurants, bars, lifeguards, first aid, playgrounds and various land and water sports. Tapas, seafood and traditional Catalan cuisine are widely available in Tossa de Mar plus there are many restaurants offering international cuisines and specialities catering for all budget types. The night life in Tossa de Mar is fairly low key. An attractive part of this historic town is the Villa Vella (old quarter) with its ancient defensive walls and towers still intact. The walled enclosure, built in the 12th and 14th centuries has been preserved along with the original towers, which have become the emblem of Tossa de Mar. The enclosure, accessed via an arched portal, is the only surviving example of a fortified medieval town on the whole of the Catalan coast. It’s a delightful labyrinth of medieval alleys peppered with shops, restaurants and ancient houses. Call 0800 622 6000 todays to speak to one of our experienced travel consultants about a disabled friendly holiday in Tossa de Mar. This attractive holiday resort which will appeal to couples and families. A holiday in La Pineda de Mar offers plenty of of facilities for holiday makers yet still maintains its typical Spanish charm. Pineda de Mar offers a selection of modern hotels cheap bars, cafes and family restaurants. It is an ideal location for a wheelchair accessible holidays in Costa Brava. Transfer time is 60 minutes from Barcelona airport and around 45 mintes from Girona airport by taxi. The main beach of Pineda de Mar is a long stretch of golden sand with calm shallow waters. It is a peaceful beach, which even in the height of summer doesn’t get overcrowded. The beach has been awarded with the European Blue Flag for cleanliness. Sun loungers and parasols are available for hire plus there is also a selection of cafes and cheap bars nearby for refreshments. The town is very pleasant and relaxed with lots of squares and gardens. There is a good selection of shops, boutiques, bars and restaurants; the resort is very well equipped and ideal for any disabled hoidays abroad. Pineda de Mar has an excellent selection of restaurants and tapas bars. The seafood choice is extensive and family run fish restaurants serve up delicious dishes at good value prices. There is also a choice of international cuisine in town. Call 0800 622 6000 todays to speak to one of our experienced travel consultants about a disabled friendly holiday in Pineda de Mar. This upmarket resort is bursting at the seams with a variety of beaches, tonnes of children’s attractions, and an old town and marina to explore. Benalmadena has rapidly grown over the last two decades to offer an abundance of restaurants, bars and entertainment venues with a fun and a lively family holiday atmosphere. A perfect destination for your accessible holidays abroad. Benalmadena has around a dozen beaches to its name, from secluded spots to busy stretches. The most in-demand sands are at the Blue Flag Santa Ana Beach. There’s a wheelchair accessible promenade that runs behind Benalmadena’s central beaches, all the way to the swanky marina, where people take a break from the sun. Take a lovely stroll in this wheelchair accessible holiday resort. There’s no shortage of days out in and around Benalmadena. In town, you’ve got the Sea Life aquarium and the Selwo Marina, while Parque Paloma is a landscaped garden teeming with wild animals. Just a 25-minute drive away is Málaga, home to an impressive Picasso museum. The oldest part of town, Benalmadena Pueblo, is a quiet tangle of cobbled streets and whitewashed houses. There’s also the Arroyo de la Miel area. As well as shops and restaurants, it has Tivoli World - a theme park with 40 rides and a cable car that takes you to the summit of Calamorro Mountain. Call 0800 622 6000 todays to speak to one of our experienced travel consultants about a disabled friendly holiday in Benalmadena. Torremolinos is bags of fun for everyone. From a waterpark to horse shows and meeting crocodiles, the resort is packed with attractions for all the family. 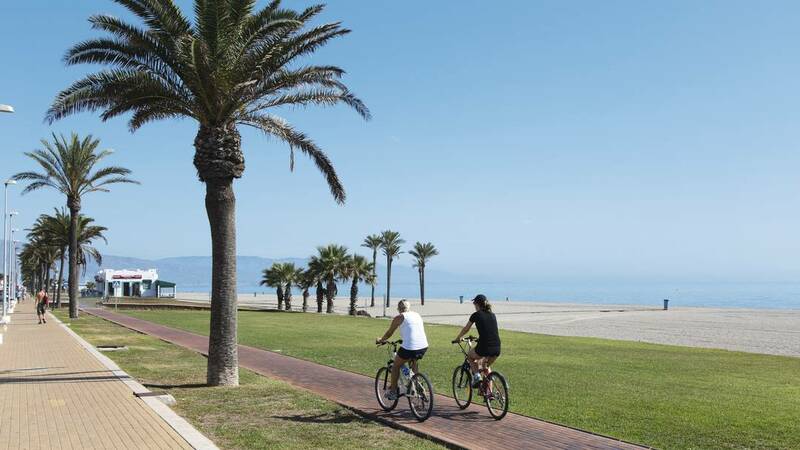 Stretching along a gloriously golden 7km coastline of the Costa del Sol, Torremolinos’ six blissful beaches are clean, close to hotels, restaurants and other facilities, and bordered by the promenade that links them all together. Disabled holidays in Torremolinos are a must. The main shopping area is the pedestrianised Calle San Miguel. It's located on top of a hill, with 178 steps to climb to reach it, but the good news is there's a lift to the top so that no-one is excluded. A great resort for a disabled friendly holiday. Explore the resorts past and take time out to look round this beautiful neo-Moorish building. You'll find it just behind Bajondillo beach, and it gives you a lovely view out to sea. The building, which is managed by the council, is now a museum and venue for weddings and other ceremonies. From chic restaurants to chill-out bars, nightclubs to pool nights, and Irish pubs to Spanish flamenco, there’s just so much choice to keep you out on the town. For the children, including the adult ones, there is Aqualand, the biggest waterpark on the Costa del Sol. Dare them to take on the The 22-metre Kamikaze or plunge down the Black Hole, with over 100 metres of breathtaking drops or whizz along the rapids. Call 0800 622 6000 todays to speak to one of our experienced travel consultants about a disabled friendly holiday in Torremolinos. Long sandy beaches and a wide-open promenade make Fuengirola a perfect resort for a disabled holiday abroad. Previously, a tiny fishing village, Fuengirola has become a vibrant metropolis with character. The advent of many up-market tapa bars, good cafes and restaurants, interspersed with chic boutiques and other shops of interest, as well as fabulous beaches makes it the perfect holiday destination. The main square, Plaza de la Constitución, has been re-designed but still retains its unique enchantment. It looks pretty especially at Christmas, when it is decorated with very attractive lights and ornaments. It is also attractive during the Fuengirola summer feria, when the whole town takes part in the annual street celebrations. A walk down the narrow, pedestrian streets leading off the main square is a voyage of discovery for the many visitors, who come across some of the hidden secrets and delightful corners of this friendly, Andalucian town. 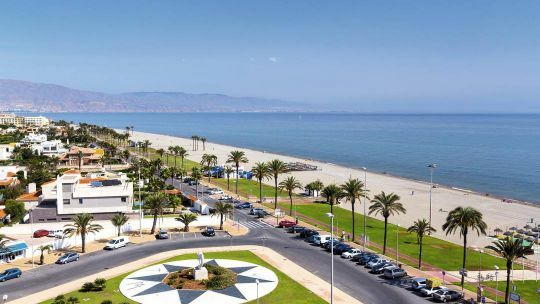 One of the Fuengirola’s main attractions is, of course, its wonderful seven kilometres (five miles) of sandy beaches, stretching from the Sohail Castle to the west and Torreblanca to the east. Call 0800 622 6000 todays to speak to one of our experienced travel consultants about a disabled friendly holiday in Fuengirola. Marbella waved goodbye to its fishing village roots decades ago. Now this Costa del Sol goliath is It is now home to 300,000 Spaniards and Brits, as well as one of the world’s highest concentrations of Rolls Royce cars. The glitz factor is high on the seafront Golden Mile, which throbs with bars and clubs. But there’s a traditional side too, in the calm oasis of the old town. The whitewashed old town is partly framed by 10th-century Moorish castle walls, a throwback to its Arab heritage. Narrow streets meander past flower-strewn balconies, leading you on through shady squares with orange trees, fountains and bustling cafés. Marbella doesn't do anything by halves, and that’s certainly true of its beaches. You’ve got 24 of them streaking their way across a 25-kilometre stretch, From Estepona to Malaga, there are so many beaches to visit and choose from. Each beach has its own personality! We offer accessible holidays in Marbella. Call 0800 622 6000 todays to speak to one of our experienced travel consultants about a disabled friendly holiday in Marbella. Together with its neighbour La Herradura form the tourist capital of the Costa Tropical. The town is backed by rugged hills, valleys and agricultural land of olive groves, almond and carob trees. This is a beautiful disabled holiday destination for wheelchair users. Almunecar has 19 kilometres of local coastline, which is diverse with 25 beaches. Secluded coves, long sandy beaches and the town’s main beachfront with all its amenities and facilities. The old town is spread around on a rock overlooking the sea and the ideal route is to wander between a road and the other up to the north square where you can indulge yourself with cold beer and a Original Tapita. Do not miss Kelibia Plaza surrounded by beach bars which is the soul of summer evenings! Call 0800 622 6000 todays to speak to one of our experienced travel consultants about a disabled friendly holiday in Almunecar. This rustic Spanish town is a gorgeous spot for a seaside getaway. Charming centrepieces and old-fashioned quirks, this is a beautiful disabled holiday destination for wheelchair users. Plus you won’t be far from the dazzling city of Málaga. This rustic town is all about traditional Spanish treats. The ruins of the 15th century San Luis Castle include semi-tropical gardens, displaying life right in the middle of an abandoned relic of the past. On Wednesdays, there’s an authentic market, while Sundays are made for the marina. The gradual slope of the seabed and soft sand at this sheltered cove make it the perfect beach for young children, who can splash about in the shallows or play in the shade of the palm trees to their heart's content. There's also a beach bar serving up ice-creams and chilled drinks and plenty of sunbeds. During the day, the marina is a peaceful spot, perfect for watching the boats come in while you enjoy a glass of something cold in one of the many cafes and bars. But by night it's transformed as partygoers flock to the discos and nightclubs which come alive after midnight and stay open until the late morning. Call 0800 622 6000 todays to speak to one of our experienced travel consultants about a disabled friendly holiday in Estepona. Málaga is a historic and culturally rich provincial capital which has long lived in the shadow of the iconic Andalucian cities of Granada, Córdoba and Seville. Yet, it has rapidly emerged as the province's city of culture with its so-called 'mile of art' being compared to Madrid, and its dynamism and fine dining to Barcelona. this is a prime location for a city break disabled holiday focused on lounging and taking in the sights. The tastefully restored historic centre is a delight: its Gothic cathedral is surrounded by narrow pedestrian streets with traditional and modern bars, and shops that range from unique and family owned, to urban-chic and contemporary. The skyline reflects the city’s eclectic character; church spires jostle for space with red tiled roofs and lofty apartment buildings while the 11th-century Gibralfaro castle sits grandly aloft and provides the best view of all. With more than 300 days of sunshine a year, this fine Andalucian city is a natural choice for sun-deprived travellers seeking a cultured city break. The main points of interest are concentrated around the walkable historical centre. At its heart is the Plaza de la Constitucion the city's main focal point since the Middle Ages. Malaga has also moved with the times. 2011 saw the regeneration of the harbour and the opening of Muelle Uno a complex of trendy shops, bars and restaurants. Call 0800 622 6000 todays to speak to one of our experienced travel consultants about a disabled friendly holiday in Malaga. Islantilla is a tourist resort, located along the Atlantic coastline, in the province of Huelva, in Andalusia. The area boasts beautiful white, sandy beaches and scenery of incomparable natural beauty. Around Islantilla there are plenty of leisure activities for those looking for a more active holiday. As Islantilla is a relatively new tourist complex, it draws on the nearby towns Lepe and Isla Cristina and nearby Ayamonte for its traditions, culture, gastronomy, folklore and the typical charm of Huelva. The beach at Islantilla is one of the best in Spain, and classified annually as a Blue Flag beach. You approach the beach through huge palm trees and a catwalk. The beach has disabled toilets and many access points for wheelchairs making it a great resort for a disabled beach holiday. About town Islantilla has excellent amenities, with two modern shopping centres, restaurants, bars, shops, a supermarket and a useful tourist information office. The second shopping mall located within the golf resort area. The older town of La Antilla (about a 5 minute drive) offers further shopping amenities, restaurants, supermarkets and cafes in a beach side location. La Antilla has a tranquil and very long beach (22km). Islantilla has a small medical centre, the nearest hospital is at Huelva, approx 25 minute drive. Travelling to Islantilla is easy, with the Portuguese Faro Airport just one hour’s drive. In addition, there are easily accessible airports at Seville 1.5hrs and Jerez. This is a beautiful destination for disabled holidays in Spain. Call 0800 622 6000 todays to speak to one of our experienced travel consultants about a disabled friendly holiday in Islantilla. La Barrosa isn’t so much a town or village, it’s more a beach with ambience. There are a selection of chilled out bars and restaurants dotted along the seafront promenade, which runs all the way to Novo Sancti Petro. Low rise apartments and villas can be found in the surrounding countryside. It’s a protected area, for the native Umbrella Pine, which eliminates the option for high-rise construction in the local region. Most of the bars and restaurants stay open during the evening, there are even a couple of music bars, where you can dance the night away. La Barrosa Beach was merited as one of Spain’s Best Beaches by the Sunday Times Travel Magazine. No small feat! Awarded with a Blue Flag for cleanliness, this eight kilometre beach is split between a busy, family area, a strip of virgin sand, where you can take your book and enjoy peace and tranquillity with few people around you and sand dunes. La Barrosa is an excellent destination to chill out on the beach for the duration of your holiday, or explore the local region, which has heaps on offer. As it is fairly centrally located it’s an excellent base to visit the bohemian town of Tarifa, the capital of the province, Cadiz City and Jerez, the home of Sherry. This region is famous for its 'pueblos blancos' (whitewashed villages); traditional villages, with Moorish and Medieval routes and architecture, where you can taste a bit of real Spain. The villages of Vejer, Arcos de la Frontera, Medina Sidonia are close by and recommended to visit. The whole of the Cadiz region is acclaimed for its seafood and shellfish cuisine. You can eat excellent seafood on most menus in La Barrosa and Chiclana. Call 0800 622 6000 todays to speak to one of our experienced travel consultants about a disabled friendly holiday in Playa Barrosa. If entertainment is what you want from your holiday, Salou has it in spades. It’s got Europe’s biggest theme park on the doorstep and a waterpark just up the road. The place also sets a lively pace at night, with a big choice of bars and clubs. There’s plenty of relaxation to be had, too, though, on the town’s golden beaches. There is a lovely wide promenade making this a wonderful destination for disabled holidays in Spain. Ten minutes drive takes you to Tarragona, where there's a Medieval citadel, an amphitheatre and a 12th-century cathedral to see. And for even more sights, there's Barcelona just 90 minutes away by train. Here you'll get a big hit of Gaudi with his La Sagrada Familia and Parc Güell, plus a chic marina and the famous Las Ramblas. Holidays for the disabled in Salou. Call 0800 622 6000 todays to speak to one of our experienced travel consultants about a disabled friendly holiday in Salou. Comarruga offers a laid-back environment, perfect for families and couples looking for a relaxing holiday, but with lots of leisure pursuits to hand. It can be easily reached from both Reus and Barcelona airports. Transfer time is around 30 mins from Reus airport and around 60 mins from Barcelona airport. There is not much in the way of nightlife, although some of the bars do stay open quite late in the summer holiday season. Coma Ruga is a great accessible holiday base to explore both the Roman province of Tarragona and the Costa Dorada. The beach at Comarruga consists of a wonderful expanse of sand with good facilities and leisure activities. Perfect for families and children, the clean sands gently shelve down to the sea, which is safe for children. The boardwalk that leads to the Sailing Club separates the beaches of Sant Salvador and Coma-Ruga. It is full of holidaymakers from the area. A promenade lines the back of the beach and runs until Sant Salvador Beach helping to make this a wonderful holiday for the disabled. Call 0800 622 6000 todays to speak to one of our experienced travel consultants about a disabled friendly holiday in Comaruga. La Pineda is not a town with a beach; La Pineda is all beach! The resort stretches the length of a large sand beach with shops, restaurants, beach huts, childrens playground and promeande lined with palm trees and fountains. La Pineda sits pretty at the top of a trio of holiday resorts on the Costa Dorada - Spain’s 'Golden Coast'. It’s calmer than Salou, its big sister town to the south. A great location for a disabled holiday abroad with good access to Barcelona and Tarragona for a little bit of culture. La Pineda’s 3 beaches roll into 1 across a 3 kilometre-long golden stretch. The waters here are calm and the sands gently sloping, one of the reasons these shores are so popular for young families and people with mobility problems. Another reason is that they’re spotlessly clean, with a Blue Flag to prove it. Two of Spain’s biggest and best theme parks sit within striking distance of La Pineda. Aquopolis is a huge waterpark right on the seafront complete with slides of all shapes and sizes. Over in nearby Vila Seca, the white-knuckle rides at Universal Studios PortAventura give Disneyland a run for its money. Call 0800 622 6000 todays to speak to one of our experienced travel consultants about a disabled friendly holiday in La Pineda. With its mouth-watering cuisine, charming streets and photo-worthy beaches, San Sebastian is the ideal destination for your next getaway. While the sand and sea is likely to be the main draw for tourists, there’s a wealth of attractions to discover in this Spanish city. Alongside fascinating museums, you’ll find a vibrant art scene and a dose of culture. 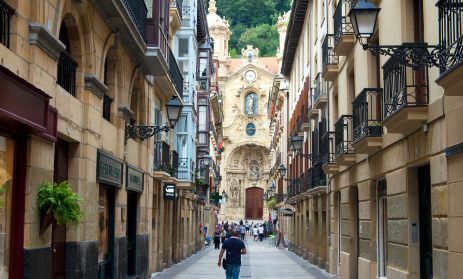 After all, San Sebastian is home to one of the world’s most glamourous film festivals. San Sebastian is a city of two halves, from its neon-lit streets and bustling bars to the meandering alleyways of the old town. Keen foodies can revel in the delicious dishes found in traditional tapas bars, while those seeking shopping opportunities will be spoilt for choice with the city’s markets and high-street stores. All of this combined makes San Sebastian an incredible disabled city break for wheelchair users. Call 0800 622 6000 todays to speak to one of our experienced travel consultants about a disabled friendly holiday in San Sebastian. The city is nestled in the Santander Bay, an azure paradise stretching across Cantabria’s Green Coast. With such a name, it’s not hard to imagine the lush natural surroundings lining the striking coast. From golden beaches spreading at the foot of rugged hills to lush verdant nature worthy of a fairy tale setting, Spain’s north is a place of unspoilt beauty. But it’s not just the nature lovers who will enjoy Santander’s coastal wonders and hike-rich landscapes. Santander has no shortage of historic landmarks, architectural feats and cultural monuments to explore, including the opulent Magdalena Palace and the lively Plaza Porticada square. The food scene is as vibrant as the nightlife, with many gastropubs and tapas bars lining the colourful streets and offering delicious fare. A stunning disabled city break that no wheelchair user seeking accessible accommodation should ignore. Call 0800 622 6000 todays to speak to one of our experienced travel consultants about a disabled friendly holiday in Santander. With dynamic museums, a flourishing restaurant scene, lively nightlife, great shops and miles of beach, Valencia is bursting with Mediterranean exuberance. An increasingly popular short-break venue, Valencia is a vibrant, friendly, mildly chaotic place with two outstanding fine-arts museums, an accessible old quarter, and Europe’s newest cultural and scientific complex. Stunning public buildings have changed the city’s skyline during the last 15 years: Sir Norman Foster’s Palacio de Congresos, David Chipperfield’s award-winning Veles i Vents structure beside the inner port, and, on the grandest scale of all, the Ciudad de las Artes y las Ciencas, designed in the main by the famous architect Santiago Calatrava. Bus lines serve all city beaches, tourist attractions and business venues and buses are all wheelchair accessible vehicles equipped with ramps and low steps. In addition, the International Manises Valencia Airport is connected to the city center by two wheelchair accessible metro lines (lines 3 and 5). Call 0800 622 6000 todays to speak to one of our experienced travel consultants about a disabled friendly holiday in City of Valencia.